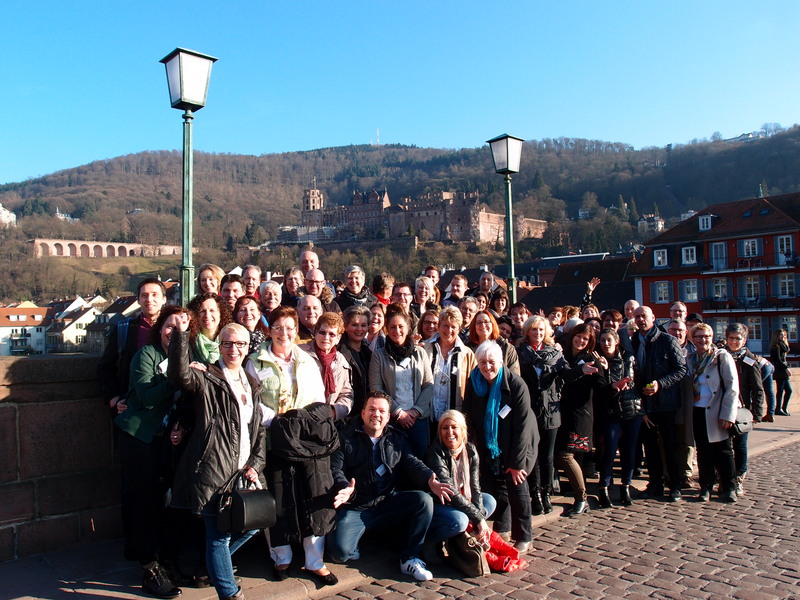 Romantic Heidelberg turned out to be an ideal location for exchanging experiences, sharing first-hand information and cultivating and strengthening friendships. That the 55 participants from Denmark, Germany, France, the Netherlands and Switzerland grew even closer during the first STARCLUB meeting in 2017 was not least due to the fact that they were all able to explore the city in a speed-dating style so that everybody got to chat to everybody else. Lunch at the ‘Kulturbrauerei’ – a genuine insider tip – immersed everybody in the tradition of the historical university city while the evening event at ‘Level12’ presented the modern and contemporary side of this vibrant city on the banks of the River Neckar – the ideal venue for honouring the STARCLUB members at a friendly get-together and party. The view across the evening city from this unique location: captivating and breathtaking. Roland Förster, Sole Shareholder and CEO, welcomed the guests on Friday evening with ‘first-hand’ information about the company. Alexander Link then provided background news about current and future webshop projects and chaired the subsequent feedback discussion. Jessica Schlick also directed attention towards the future – specifically towards the topic of ‘Setting Goals for 2017’. The Finisher Awards 2016 demonstrated that goals are well worth pursuing. The renewed presentation of ‘Inja’ was definitely another highlight of the STARCLUB event in Heidelberg. ENERGETIX’s first dietary supplement was presented live in greater detail by the pharmacist Dr Becker who then remained available for a more intensive round of questions. Being a member in ENERGETIX’s STARCLUB – the highest award for best performances. Heidelberg once again demonstrated how rewarding it is to reach this goal and to be recognized for doing so. Here are the photos for you! This entry was posted in General by administrator. Bookmark the permalink.